Biochar | Background: My intent, early in 2011, was to see if it would be possible to set up a gardening system that could feed a couple that was: No dig, No weeds, No Watering, No bugs, No bending, No electricity, No pumps, No room and most importantly No weeds. Would this be possible and would it work. Well yes and here are the results to prove it. Basically it’s an Autopot system with gravity feed nutrients. (Ionic Grow) set up outside under shadecloth. (32% up to 40% will work, 30% absolute minimum) on Bunning’s tables hung over the railing on my deck in Northside suburban Brisbane. (30mts north from the City Centre). And yes there is reason in my madness and so there is a system for this and its set out below and it works. These are the results. My recent discovery in Hydrochar has left me gobsmacked. After the completion of a four month experiment (March-June inc. 2011) with. as a growth medium for Hydroponics (Hydrochar – my term – another is Charponics). yesterday I started to clean out the growing pots. 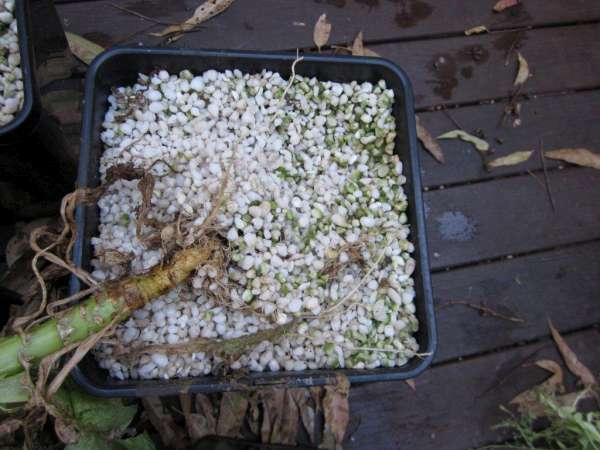 I use an Australian Autopot system of six pots – two of these had a 50/50mix of perlite and activated Bio-char – the Bio-char was itself a 50/50 mix of small chunks mixed with a granulated powered type + two were control pots with 100% Perlite and the same plants at the same time as the Hydrochar experiment. Nutrient strength was set to suppliers strength and tested electronically each week when the growth measurements were taken. I took photos and measurements for the growing period. 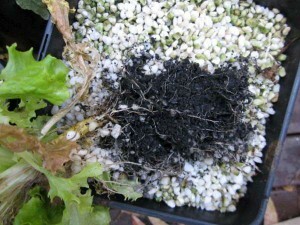 A reasonable evaluation is that the lettuce (both green and red leaf varieties) grew at least twice the rate of those in the Perlite only control pots. 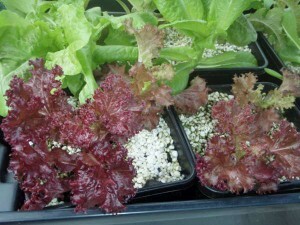 We got around 23 lettuce feeds for two people from the four pots around 70$ worth of lettuce in this period. Results from the 3 mth field trial: What I have found is that the. 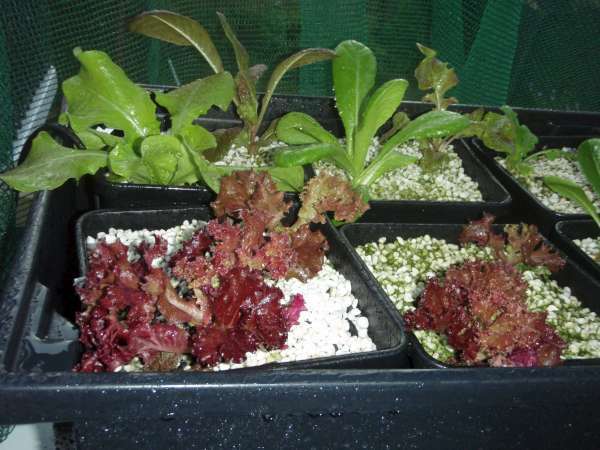 (1) Overall Hydrochar experiment worked in these conditions at this time and growth was about twice the control pots + of course hydroponics growth rates, with this system, are about twice in ground growth rates so we are looking at a growth rate four times that for ground plants. (2) Root system in the Hydrochar pots was 3-4times more substantial than that in the control pots, and. (3) Root system as closely matted and had retained all the smaller granulated Biochar almost as if it was feeding off, and with, the Bio-char rather than as per normal, and feeding exclusively off the Hydroponic nutrient. (4) Hydrochar lettuce were still producing feed leaves, at the completion of the test period whereas those in the hydroponic control pots had all run to seed. 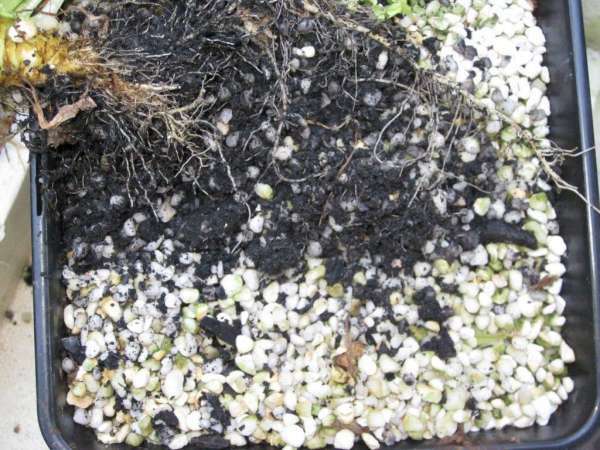 NB: I in no way claim to be an agronomist rather I am a hobby hydroponicist – this experiment is more by way of exploring the issue – can Biochar be used efficaciously in Hydroponics? Answer: Firmly yes. Next step: is this replicable – say in a different geographical location? My colleague Gillian Tubs is presently undertaking these experiments 300km south of Brisbane in Northern New South Wales. Outcome anticipated in three-four months – watch this spot. 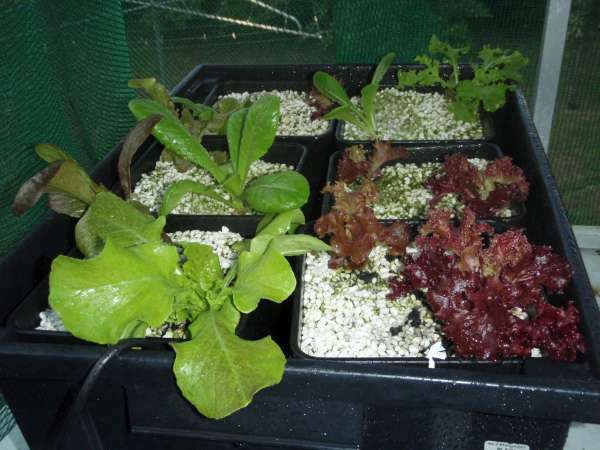 Suggestion: Why not think about joining us in making this a ‘distributed hydroponic experiment’, Dolph has agreed to keep this site updated with your experiment, results and photos etc. Thx Dolph!!. Love it! 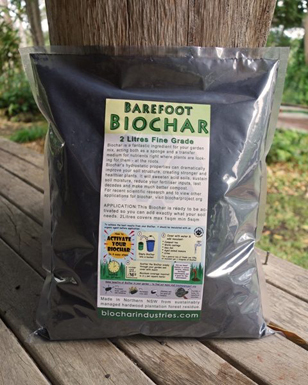 I’m going to start using biochar in various applications. If I can, I’ll start documenting it to share. We are looking at including Dolphs hemp biochar into the Symbiot hydroponic range as a stand alone product, or even in the carrier for our mycorrhizal fungi and rhizobacteria. 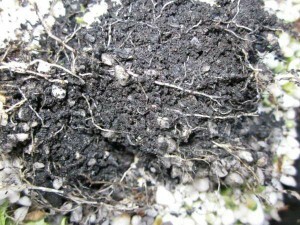 Next post: Biochar Action Learning Circle Another world first.